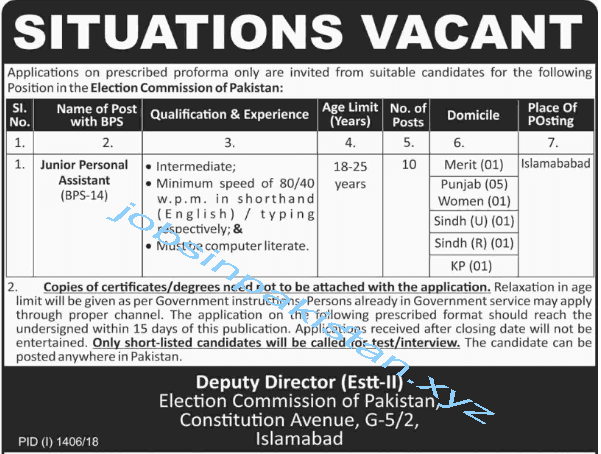 Election Commission of Pakistan Jobs 2018 for Junior Personal Assistant is announced. The advertisement for Election Commission of Pakistan Jobs 2018 is come on today newspaper. 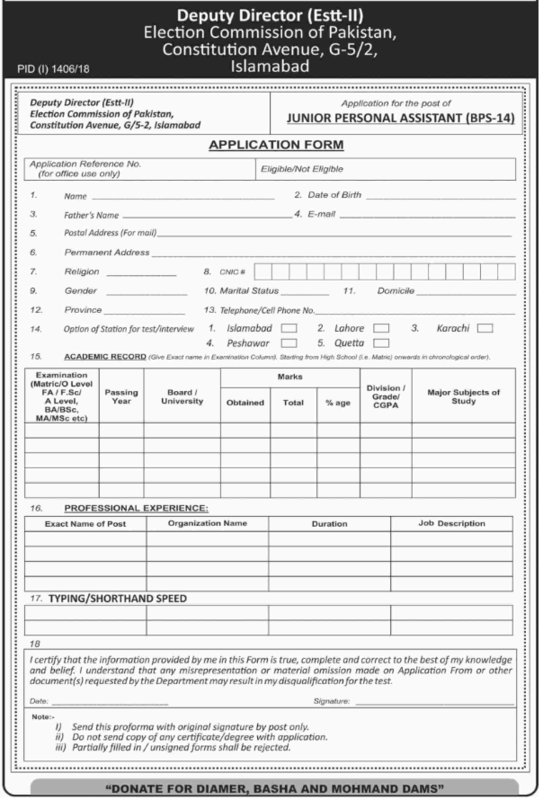 The last day for submitting of application form for Election Commission of Pakistan Jobs 2018 with in 15 days of publication of advertisement. Applications are invited from all over the Pakistan for Junior Personal Assistant Jobs in Election Commission of Pakistan. Only short listed candidates will call for Junior Assistant Jobs in Election Commission of Pakistan. (2) Minimum speed of 80/40 w.p.m. in shorthand (English) / typing respectively. (3) Must be computer literate.